4 color, 40 pages, over 100 articles on bar codes, RFID, auto-id technology, and barcoding with Raspberry Pi. TAMPA, FL, April 17, 2019 /24-7PressRelease/ — We are pleased to share the 2nd quarter 2019 issue of the Bar Code News digital publication. 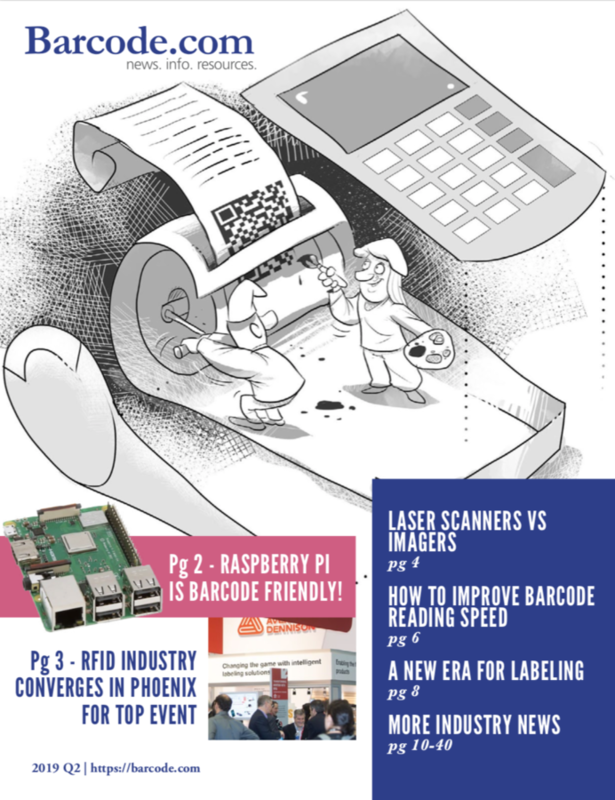 This issue features articles on using Raspberry Pi with bar code readers, improving the speed of bar code reading, bar code labeling in the enterprise-wide environment, advice on choosing laser scanners vs imagers. Raspberry Pi, NiceLabel, RFID Journal, Zebra, ScanSource, Code Corp, Janam, TEKLYNX, Digimarc, GS1, Honeywell, AIM, Avery Dennison, Impinj, Cognex, Loftware, Dynamsoft, Soom, Aramark, QiO, Superdry, Jump, GuardRFID, Intelligraphics, SAP, OCR Canada, Barcodes Inc, SoftBank, AU10TIX, ALL-TAG, Axicon, PayPal, Infinite Peripherals, AB&R, Smartrac, SocketMobile, TSC, Diversified labeling, ASAP, Omron, OKI Data, UPC com, Datalogic, Aegis Custody, Barcoding Inc, Shopbrain and more… 40 pages and over 100 articles. The Bar Code News is now in its 10th year. The publication is sent to a highly focused audience – Barcode.com has over a half-million visitors per year and has been publishing content since 2009. The Bar Code News does not sell goods or services and is strictly news, information and resources for the bar code and auto-ID industry.